This post is about a man you probably never heard of who did something unheard of. Ulfilas lived some 1600 plus years ago; from about AD 330 to 380. 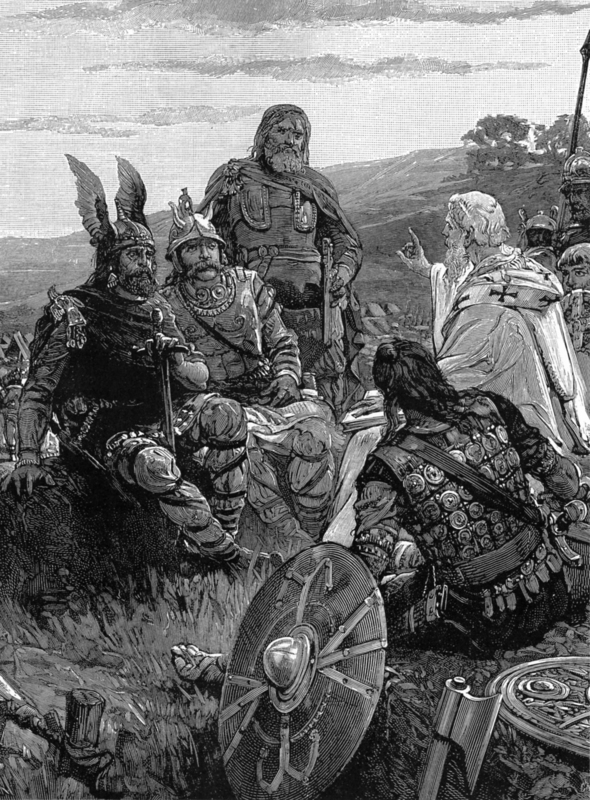 He left the comfort of his life as a Roman citizen to evangelize the Goths – an east Germanic tribe. The Goths spoke their own language, of course. So like many missionaries Ulfilas learned it to communicate with them. There is nothing unusual about that. 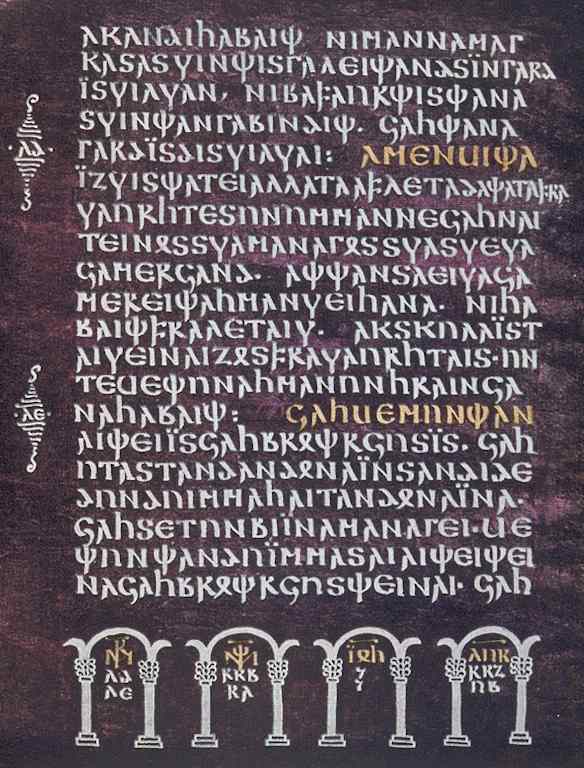 Ulfilas also wanted to translate the Bible into the language of the Goths, but there was a problem. The Goth language had never been written. It did not have an alphabet. So he took on the extraordinarily difficult intellectual challenge of writing down a language which had never been written. The thing is, he succeeded, thus becoming the first person to accomplish that for a language not his own. His alphabet captured accurately the sounds of spoken Goth. It has 27 letters borrowed from the Greek and Roman alphabets. Ulfilas did this in about 360 AD without the benefit of studying linguistics which was not invented until almost 1300 years later! People who attempt this task today study linguistics first and are supported by a whole body of literature that explains all the ins and outs as well as experts they can consult not to mention talking to other people who have done it. Dayle and I had all that support when we proposed an alphabet for the Cerma language in Burkina Faso. Ulfilas was way before his time. It was not until the 1700s that writing down unwritten languages became a somewhat common missionary endeavor. In the 19th and 20ths centuries it boomed. Today, more languages have been written for the first time through the work of missionary Bible translators than any other way! This fact shows the fallacy in the claim that missionaries destroy culture. Much more has been done to preserve and develop the world’s minority languages by missionaries than by anthropologists. Also, only a relatively small number of people, a few thousand perhaps, will ever go down in history as giving an unwritten language an alphabet. Time is running out for anyone wanting to follow in the steps of Ulfilas. If you liked this, you might also like Counted, Patois, or What Alphabet. This entry was posted in Bible translation, Heart language, Linguistics and tagged Alphabet development, bible translation, Goth alphabet, Goths. Bookmark the permalink.